CALUP is a project for urban regeneration through arts and culture. CaLup, developed by Casa Lupu, organizes alternative pop-up cultural events, aiming to shed light on the cultural and economic potential of the estates that host the project and providing viable economic solutions for their urban rehabilitation. The house in 25 Masaryk St., a historical monument, former headquarters of Romania Film is now open again for public. 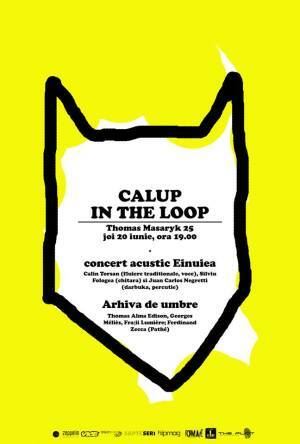 "Calup in the loop" Art Show in Bucharest. You can get here description, reviews, address, time and details of "Calup in the loop" Art Show in Bucharest. Visit Bucharest Tips for more Art Show events in Bucharest!